We know: It’s not even Halloween yet. But if you always buy Christmas gifts for the kids in your life and always ideas for the best toys, you’ll want to get a jump on things, because the hottest holiday toys tend to sell out quickly. Just look at what happened with Fingerlings last year, and Hatchimals the year before. Once the holiday season’s hot toy is sold out, shoppers have little choice but to turn to eBay or other online marketplaces, where resellers can command a ridiculous markup. So it’s wise to make note now of what the hottest toys are likely to be, and perhaps scoop up some for your kids at the lowest price possible before they’re sold out. Walmart and Amazon both recently came out with hot holiday toy lists, and MONEY asked some industry experts to tell us which will be the hottest toys of all and flying off shelves in the weeks ahead. “There is no shortage of great toys this holiday season for every age kid and there are lots of retailers getting ready for a busy holiday season,” says Juli Lennett, senior vice president and toy industry advisor at market research firm The NPD Group. If there are kids in your life, here are the holiday gifts they’re going to beg for this year. 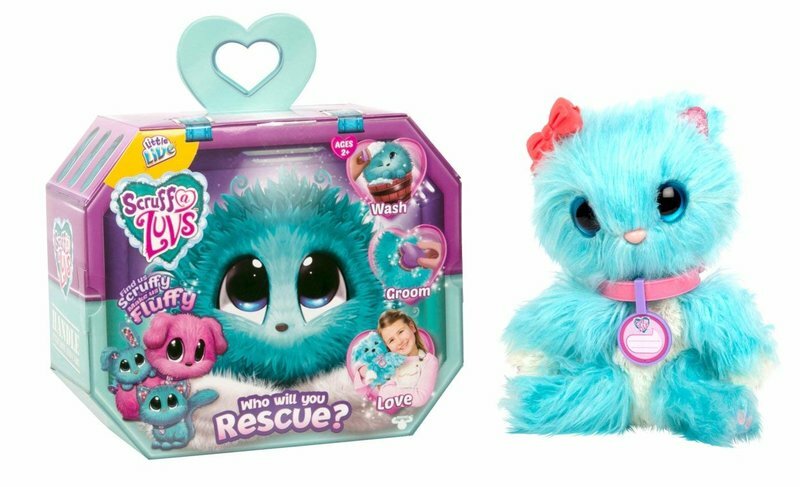 If we had to place a bet on which holiday toy is going to get the most buzz this year, we’d go with Scruff-A-Luvs, a toy that ticks many of the boxes for trends this year. For the uninitiated, these critters are presented as stray pets a kid “rescues.” “You put it in water and it becomes an animal — you’re adopting and nursing it back to health,” says Adrienne Appell, trend specialist for The Toy Association.